The Westchester Chordsmen is a renowned male chorus based in Westchester, New York, dedicated to the singing of the finest Barbershop music out there. Our commitment to musical excellence as well as having a good time make us the perfect outlet for creating this very unique sound. We not only have a great time singing with over 60 men of all ages, but we encourage and foster the well-established Barbershop tradition of quartet singing. Whether you’ve sung for years or are just getting started, we are here to give voice to your spirit and join others who are just as excited about singing as you are! 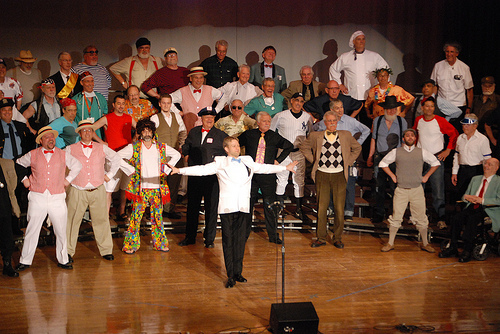 The Westchester Chordsmen was founded and chartered in June of 1953 and is a proud member of the Barbershop Harmony Society. We sing at county-wide concerts and other shows throughout the year, as well as compete at the regional, district, and international levels. Find out how to join us!